Bow Wow Chicken Soft Meat Ball Dog Treats are nutritionally balanced treats made with tender chicken breasts. 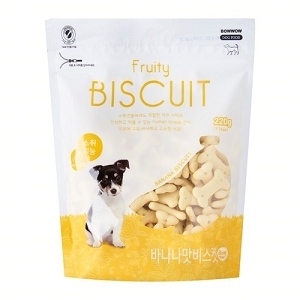 *Our product are nutritionally balance treats made with chicken breasts. 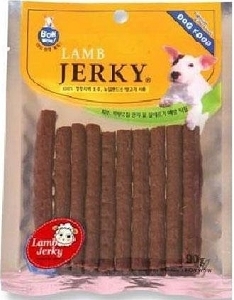 *It help your pets increase appetite. *Our treats are made with natural ingredients excluding artificial colors and/or preservatives. 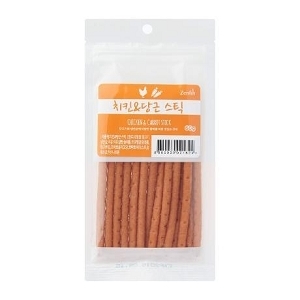 Chicken breast meat(95%),potato starch,vitamin & mineral. 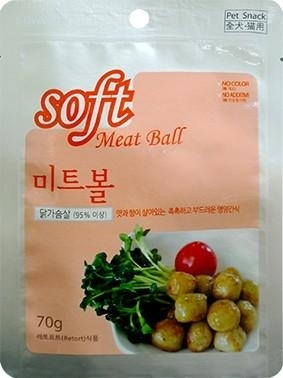 *Our product are made with real meat.Please keep our products in a refrigerator after opening and consume it as quickly as possible. *Watery substances may be found on our products. *This is safe liquid created from heating and sterilizing the meat. *You can feed our products to your pet with confidence and safety in mind.